Forced to kill a man in self-defense, Joram can keep his secret from the townspeople no longer; he has no magic, no life. Fleeing to the Outlands, Joram joins the outlawed Technologists, who practice the long forbidden arts of science. Here he meets the scholarly catalyst Saryon, who has been sent on a special mission to hunt down a mysterious "dead man" and instead finds himself in a battle of wits and power with a renegade warlock of the dark Duuk-tsarith caste. 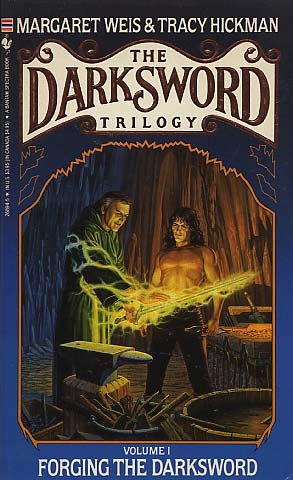 Together, Joram and Saryon begin their quest toward a greater destiny--a destiny that begins with the discovery of the secret books that will enable them to overthrow the evil usurper Blachloch...and forge the powerful magic--absorbing Darksword.